Stardust is on a mission to inspire a love of science and a sense of wonder at the universe. ​This series is born of an eight-year-old girl's desire to share with the world the concept that everything on Earth, including us, is made from the dust ​of exploded stars. 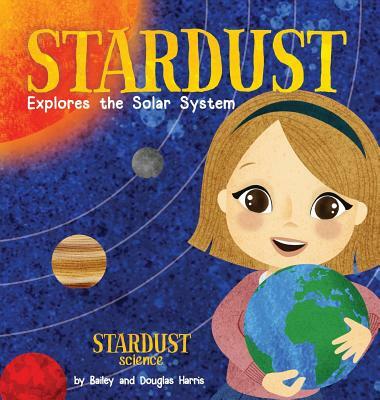 The Stardust Science book series offers sound science and beautiful imagery for pre-readers and young readers. Stardust Explores the Solar System begins with the Big Bang, explains the formation of the Sun and the planets, then takes children on an exciting tour through our Solar System Reviewed by Dr. Eric Meikle, Former Education Project Director at the National Center for Science Education, to ensure that Stardust Science reflects the most current scientific knowledge. Sit back and enjoy this beautifully illustrated book as it takes you across our solar system on one amazing journey We are all made of Stardust.